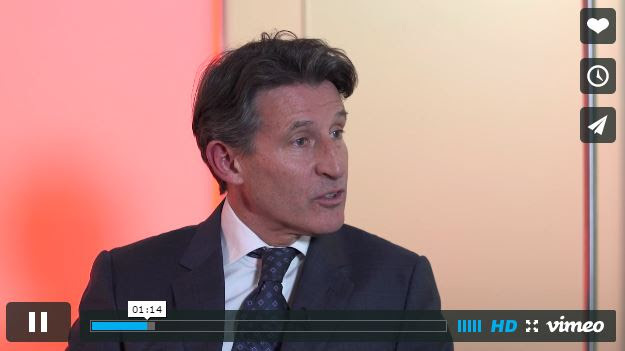 – Seb Coe talking about the doping problem in our sport in an interview with Brendan Foster, released exclusively to LetsRun.com. The most powerful scene from any movie you've watched. 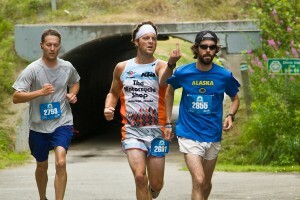 What runner do you most respect? Which elite runners would you be surprised to stroll the boards and who would you assume is on here daily? Day 2: LRC Seb Coe On Trust/Doping Seb Coe is running for the IAAF presidency. 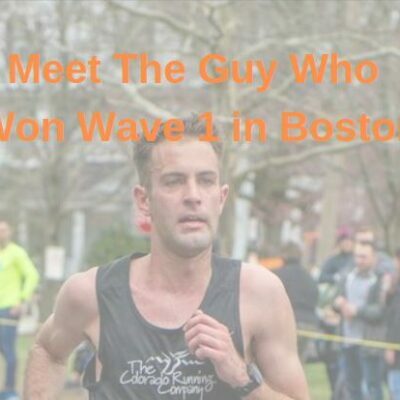 He knows many of the most passionate fans of the sport come to LetsRun.com and has filmed an interview that is being exclusively released here. We’ve got his views on doping today. Three more parts coming over the next three days. *Day 5: A Sub-2 Hour Marathon? A Step In The Right Direction: USATF Acts Quickly And Reinstates Sisu Club XC Nats Video Last week, USATF got their video taken down off YouTube, saying it was copyright infringement. Max Siegel put out a statement recognizing clubs should be encouraged (not prevented) from promoting the sport. 800 Runner Mark English Not Feeling The Pressure Despite Being Ireland’s Lone Medal Hope At European Indoors He says he’s got a lot of confidence from the bronze medal he won at European outdoor champs last year. Greg Rutherford Has Last Minute Change Of Heart And Will Compete For GB At European Indoor Championships Starting March 5th Other top team members include sprinter Richard Kilty, pentathlete Katarina Johnson-Thompson, Chris O’Hare in the 1,500, Jenny Meadows (800) and Kate Avery and Laura Muir (3,000). The Netherlands And Poland Name Their Teams For Euro Indoor Champs Sifan Hassan, Dafne Schippers (sprints) Eelco Sintnicolaas (heptathlon), Kamila Licwinko (HJ) among the big names competing. 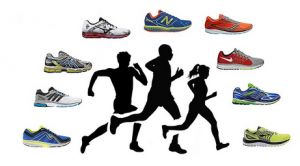 LRC What’s Your 2014 Running Photo Of The Year? Have you taken a photo or seen a photo that could be the running photo of the year (2014 until now)*. Submit or tweet your entries to us. Winner and/or person who tells us of winner wins $100. Good Read: Shalane Flanagan Going All-Out For Boston Again Flanagan talks about her devotion to winning Boston, her connection to the race, and Rita Jeptoo drug bust. 18-Year-Old 2:38 Marathoner Alana Hadley Ineligible For The Olympics Due To Her Age She’ll be 8 days too young for IAAF rules. If she finished top 3 at the Trials and couldn’t go, that would be an outrage, but as she’s 44th on the qualifier list, that isn’t expected to be an issue. 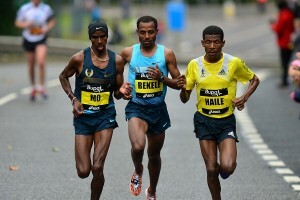 *Related Question: Would 2:04:32 2014 Dubai winner Tsegaye Mekonnen Asefa really have been ineligible for the Olympics? He’ll be old enough in 2016, but he was only 18 when he ran 2:04. North Korea Bans Foreigners From Pyongyang Marathon Due To Fears Over Ebola Virus The super-isolated country has some of the strictest Ebola regulations in the world. Hundreds foreigners had already signed up to run the April 12th race. Quiet Week In NCAA DI Rankings As Top 7 Teams For Men And Women Remain Unchanged Florida men, Arkansas women still #1. Weekend Highlights: Two Of The Fastest Weekend DMRs Go To Virginia Tech And Duke (9:28/9:29 Converted) Wisconsin’s Michael Lihrman set a new DI record in the weight throw with 24.87m (the overall record is by DII’s Kibwe Johnson). Missouri’s Kearsten Peoples threw 22.84m to put herself 7th on the all-time NCAA weight throw list. Results: Notre Dame Alex Wilson Invy Baylor women (10:58.52) and Arkansas men (9:28.37) win DMRs. Becca Addison ran 4:30.70 to win the women’s mile over Canada’s Nicole Sifuentes and Rachel Johnson won the 3,000 (9:07.09). Despite WR, The Priority Is Still On Titles For Farah He said he hasn’t ruled out going for Bekele’s WRs at 5,000/10,000, but Beijing Worlds are his focus. 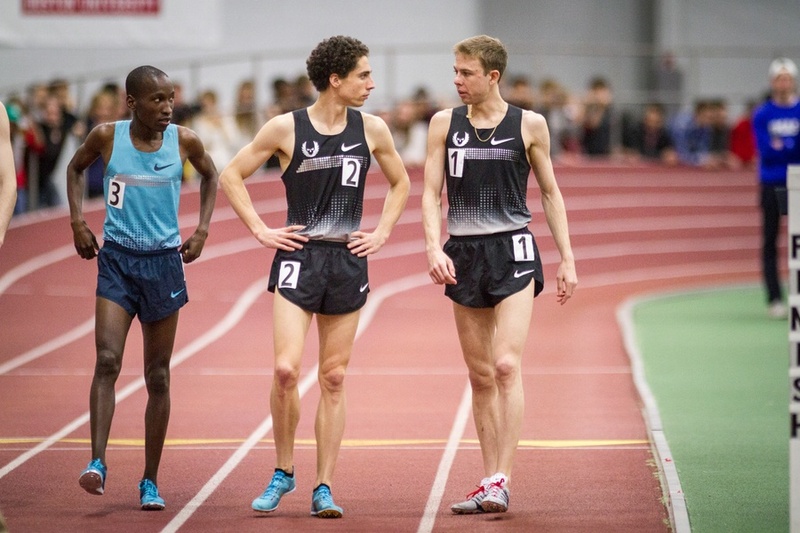 Good Read: Cam Levins Feeling Positive About A Breakthrough 2015 Despite Millrose Setback Levins reveals that he was dealing with an illness before Millrose, where he ran a sub-par 5,000. 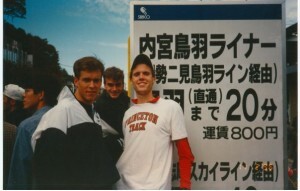 Those who question his double at the ATI should remember his epic quadruples from college. *LRC MB Archives: Salazar completely WASTES Levin’s AMAZING fitness on pointless DOUBLES *Cam Levins: performance of the week?? 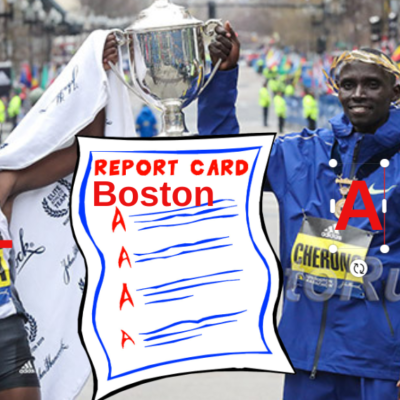 *Cam Levins quadruples again! Amy Acuff, NCAA HJ Record Holder, Has Developed A Coaching App For All Events – Ianalyze Side-by-side video comparisons and the ability to calculate velocities is included. Former CU Sprinter Joe Morris Has Relocated To Portland His PRs are 10.24, 20.77 and 47.17. Great Read: Renato Canova Says Florence Kiplagat’s WR Was A Surprise Even For Him Last year, her #1 goal was the 13.1 WR with London Marathon 2nd. This year, the goal was the 15km WR but London is the goal as she needs to figure out if she should focus on marathon or 10,000 for 2016. Seb Coe Says IAAF Will Not “Dance On Grave” Of Russia Despite Doping Crisis, Won’t Ban Whole Country From Competition We almost want to see the ban to change the culture, but imagine if the USA was banned for Lance, Barry and Marion – the non-dopers would be outraged. 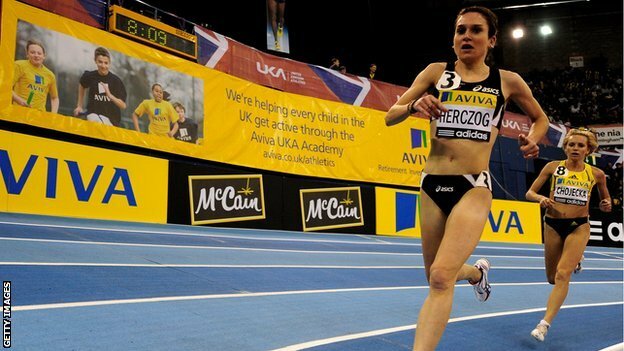 Dutch Distance Runner And Boulder Resident Adrienne Herzog Gets Two-Year Doping Ban Herzog has long been linked to drug use and it finally caught up to her. Although of course, she still claims she’s innocent. Lance Armstrong Pleads Guilty To Careless Driving After He Hit Two Parked Cars In Aspen He got charged about $390. 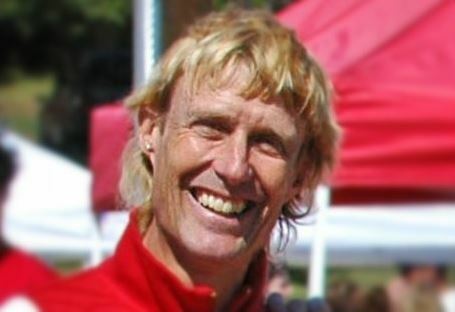 LRC Remembering LRCer Van Townsend The running world lost one of its bright lights this week with the death of Van Townsend. Depressing Numbers: New Dutch Study Estimates Doping In Elite Sport Is Likely Between 14 To 39 Percent This is way less than the number of athletes actually testing positive, which is about 1%. 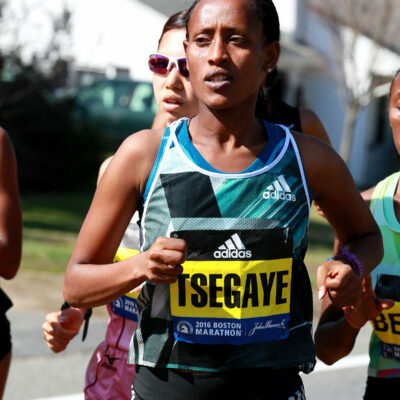 March 15: Past Champions Sally Kipyego And Caroline Rotich, Along With Top Americans Molly Huddle And Desiree Linden, Headline Women’s Field For NYC Half Marathon The deep field also includes Joyce Chepkirui, Buzunesh Deba and Annie Bersagel. You’ve Been Reading, But Have You Been Watching? 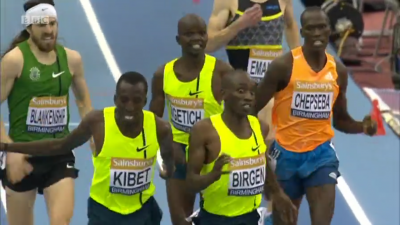 Video Highlight Reel From The Top Track And Field Action So Far In 2015 Includes the recent WRs by Mo Farah, Genzebe Dibaba and Florence Kiplagat, as well as Jenny Simpson‘s AR. Visit From Pope Francis Will Push Rock ‘N’ Roll Philadelphia Marathon Back To Saturday, October 31st The race is normally on the third Sunday in September and is often used by a tune-up for elites racing Chicago or NYC. Drake Relays Presented By Hy-Vee Announces First Wave Of 2015 Athletes And Events A highlight will be the addition of an elite women’s 800 with Brenda Martinez and Ajee Wilson. Other top names competing include Renaud Lavillenie, Jenn Suhr, LaShawn Merritt vs. Kirani James, and a deep 110H and HJ competition. Defense In Oscar Pistorius Case Is Challenging Judge’s Decision To Allow An Appeal By The Prosecution The prosecution thinks the judge made a misinterpretation of the law with her original rule of “culpable homicide” for 5 years. 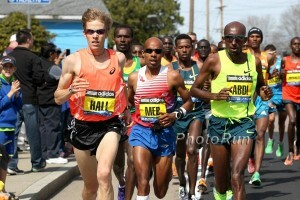 LRC Mo Farah Gets His First World Record, Runs 8:03.40 2-Mile The critics can shut up for quite some time now. 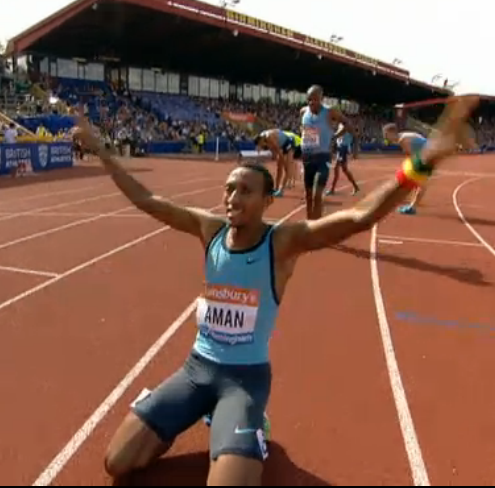 Farah went 3:59 for his 2nd mile to get the WR. Rest Of The Meet LRC 2015 Birmingham Recap: Matthew Centrowitz & Shannon Rowbury See Winning Streaks Come To An End Some Americans did find success, however, as Ben Blankenship and Jordan Hasay PRed and Erik Sowinski almost did. *Katarina Johnson-Thompson Sets British LJ Record With 6.93m; Jenny Meadows Wins 800 In 2:01 Greg Rutherford won the LJ in an indoor PR and WLing 8.17m. 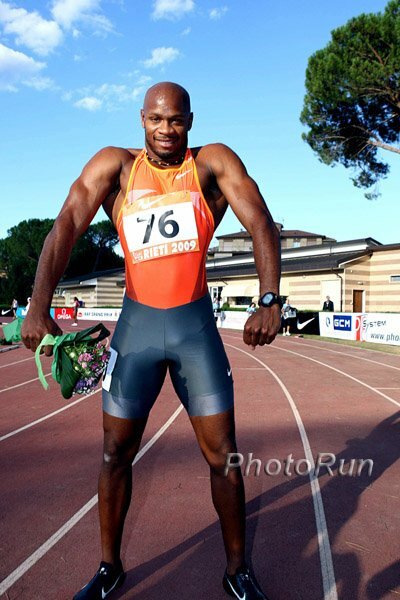 Journalist Says Inviting Asafa Powell To Compete At Ireland’s Athlone Grand Prix “Sent Out The Wrong Message” She is of course talking about Powell’s 6-month drug ban last year. That was the headline anyway, but she spends most of the article talking about the Mo Farah – Andy Vernon Twitter battle. 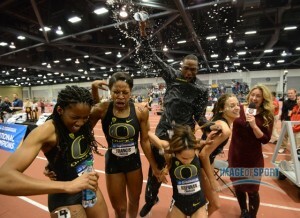 LRC NCAA Sub-4 Mile Mania, Montana State > Oregon, Colorado Gets Its 2nd Sub-4 Miler (Ever), Florence Kiplagat Nearly Goes 1:04, Drones Film Races, And Break Up With Your Girlfriend To Run Faster … We break down the last week in track and field and apply Isaac Newton‘s “What goes up must comes down” to running and take one final look at the 2015 NYRR Millrose Games. We devote a lot of time to breaking down the greatest day in sub-4 history and discover that Georgetown has 4 sub-4 guys this year, Colorado has had 2 (ever), but everyone should bow down to Montana State. LRC Mini Review: “McFarland USA is a winner … This movie will certainly become a classic on all team bus rides for years to come.” We saw an advanced screening in November and liked it even if it was predictable. *MB: McFarland USA, currently at 89% on Rotten Tomatoes We should point out it’s down to 77% now – this is far from a “Field of Dreams” type hit. Meet The Diaz Family That Stars In “McFarland, USA” Brothers David, Damacio and Danny Diaz all were key parts of the 1987 team. The Gregoreks Are Now The 8th Father-Son Combo To Go Sub-4 The Keinos have the fastest average – just .02 faster than the Centrowitzes. Starting/Timing Glitches Marred AAI Meet In Ireland The entire w60 had to be re-run 3 times as both the photo finish and clock failed to work. 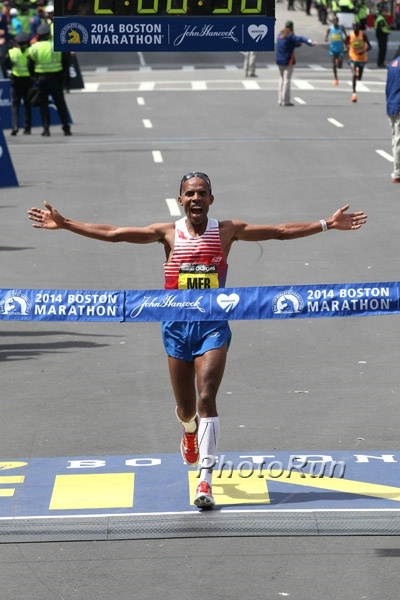 Elite American And International Fields Announced For March 15th 2015 United Airlines NYC Half Stephen Sambu faces a field of top Americans, including Meb Keflezighi, Dathan Ritzenhein, Abdi Abdirahman, Matt Tegenkamp and, in their debuts, Chris Solinsky and Andrew Bumbalough. 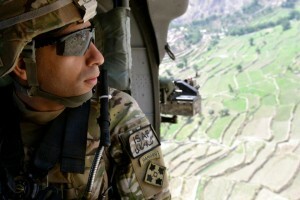 Recommended Read: Nick Willis Is More Motivated Than Ever To Succeed At Track So He Can Keep Being A Stay-At-Home Dad Willis says he knows it’s a bit late to start “climbing the corporate ladder” and as a pro runner he can train 2-3 hours a day and be with his family the rest of the time. He also questions the idea that runners slow down in their 30s. 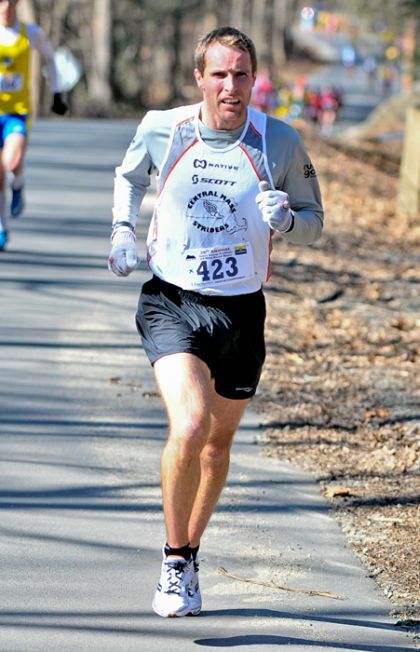 Update On Matt Tegenkamp, Who Is Training Looking Towards The 2016 Olympic Marathon Trials Tegenkamp won’t run a marathon in 2015, but is throwing in shorter races like the NYC Half in March. LRC Tsegaye Kebede Vs. The USA, Don’t Positive Split The Marathon, Worlds Is Coming, An Improved World Marathon Majors, NCAA Men Vs. NCAA Women And More We recap the week in running. InsideTheGames Asks If “Mega-Events” Are Worth Hosting A look at the cost vs benefit debate countries are asking themselves before they bid to host major international championships. Cool Race: 600m WR Attempt In Canada Is A Bust The 6-man race was won by 400 Olympic silver medalist Leguelin Santos in 1:16.01 (the record is 1:15.12 by Germany’s Nico Motchebon from 1999). Brooks Beasts’ Mark Wieczorek was 2nd (1:17.04) and former 400H world champ Dai Greene 3rd (1:17:59). Adelaide Track Classic: Jeff Riseley Wins 800 In 1:46.52 Over Aussie NR Holder Alex Rowe Riseley will race Rowe and David Rudisha over 800 next month and said he wanted to prove he shouldn’t be discounted. On the women’s side, Zoe Buckman won th,e 3000 in 8:56. Moldolva’s Roman Prodius And Poland’s Dominika Nowakowska Win Almond Blossom XC Race In Portugal It was the first time since 1995 that a European runner won both the men’s and women’s races. Day 2 Highlights From Several European Indoor National Champs: Renaud Lavillenie Clears 6.01m In France, Breaking Sergey Bubka’s Stadium Record Lavillenie also made 3 unsuccessful attempts at a would-be new WR of 6.18m. Other highlights: Sara Moreira 8:56 3,000 win in Portugal, Giulia Viola 8:56 3,000 win in Italy, Zuzana Hejnova 52.76 in the 400m, Kafetien Gomis 8.18m LJ world lead, Czech sprinter Pawel Maslak WLing 45.27 in the 400, Ruth Beitia won a record 14th Spanish indoor HJ title (1.95m). Day 1 Highlights In Belarus, Svetlana Kudelich set a NR to win the 3,000m in 8:55.94. Poland’s Kamila Licwinko cleared a NR and WLing 2.02m HJ. Christophe Lemaitre won the 60m in France. *MB: Genzebe Dibaba Smashes 5000 WR – Runs 14:18.86!! *IAAF Recap Sifan Hassan and Homiyu Tesfaye ran world-leading 1,500 times of 4:00.46 and 3:34:13; Qatar’s Musaeb Balla ran a WL 1:45.13 and Qatari teen Abadalleleh Haroun ran 45.13; plus a 6.99 WL in the LJ. IAAF Recap Of Russian Champs: Anzhelika Sidorova Clears World-Leading 4.76m Yelena Korobkina won the 3,000m (8:50.39) and 5,000 (15:47.09) but the times were modest in most events (2:02 in w800). MB: Nick Symmonds Announces That He’ll Be On Season 7 of American Ninja Warrior It’s an obstacle game show and filming is just two days (March 13 and 14). *Sporting News: “The Bachelor ship has sailed.” Symmonds says he’s most focused on 2015 Worlds.